The world's first 5G Gigabit LTE launched in Australia. In an event in Sydney, Telstra has launched world’s first 5G Gigabit LTE network in Australia. 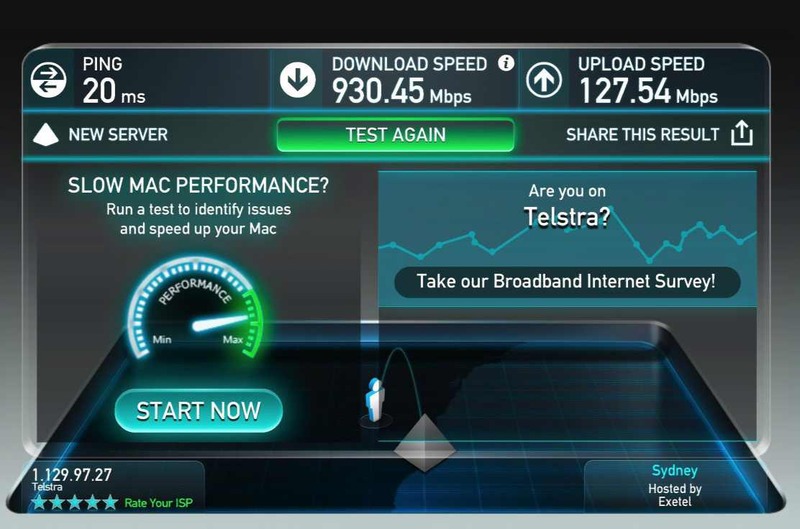 The Telstra showed off download speed demo up to 930Mbps and uploads of over 130Mbps. You can download a 3GB HD Movie in 3 minutes. The network is now available in Brisbane, Sydney, and Melbourne. More areas will be covered in mid-February. Netgear’s Nighthawk M1 mobile router will be the first device to support Gigabit LTE speed. The Netgear’s Nighthawk M1 mobile router comes with a Snapdragon X16 LTE modem, and it can connect up to 20 devices. The router also has a built-in battery which can give backup up to 24 hours of continuous use. The new Netgear router will be available starting next month for AUD360 ($270). We are proud to support the launch of the world’s first commercial Gigabit LTE product through our close workings with Telstra, NETGEAR and Ericsson. The Qualcomm Snapdragon X16 LTE modem is the first commercial modem in the world to make these game-changing speeds and user experiences possible. Qualcomm’s Snapdragon 835 will also feature X16 LTE modem. Future high-end smartphones with Snapdragon 835 chipset will be able to take advantage of Telstra’s Gigabit LTE. hGLHym You have noted very interesting details ! ps nice web site. We make ourselves a ladder out of our vices if we trample the vices themselves underfoot. by Saint Augustine.